The SciFi Channel has finally fessed up and stopped pretending to be what real sci-fi fans knew it wasn’t all along: A science fiction channel. From the beginning the channel has dedicated a dissappointingly low percentage of its actual programming to real science fiction. Instead more often than not, it’s flooded with bad horror programming or more recently, bad superhero reality shows. The SciFi Channel never was the Science Fiction Channel and now we can all stop pretending it is since they’ve changed their name. 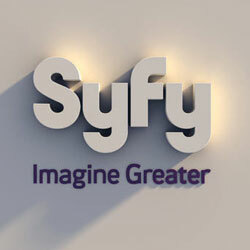 The SciFi Channel will now be known as the SyFy Channel, reflecting our culture’s increasing need to marginalize science fiction and rebrand it in a way that will seem less geeky to brain dead cool people who instantly turn the channel whenever they see something set in outer space. This gives SciFi license to drift even further away from good science fiction programming. In their press release accompanying the name change they admit the change was to allow them an even broader range of programming which won’t be science fiction related. Though SciFi never ran much science fiction, this is still bad news for Sci-Fi geeks. It’s just another sign that we’re being pushed out of the mainstream. Geeks conquered the world… and now everyone would like to go back to ignoring us. Welcome to the SyFy Channel, where they’ll happily meet all of your wrestling and reality television needs.